Out with the old wallet, in with the eWallet. The BruPay app was designed to make navigation as seamless as possible. BruPay is free to download and use, only charging a 2% fee when you withdraw funds from the app to your bank account. All transactions conducted through BruPay are protected by block cipher encryption. Complete payments to merchants or friends by scanning and verifying shareable QR codes. BruPay offers a range of top-up options including bank transfer, credit/debit card and more options coming soon! Send a payment simply by punching in the recipient’s mobile number. Stay on top of the payments you’ve sent and received with time-stamped records built into the BruPay app. 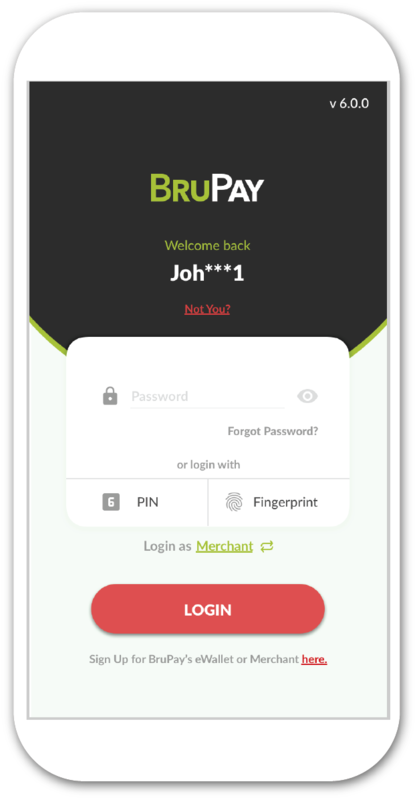 Sign up as a BruPay's Merchant in-app now, and start receiving cashless payment. 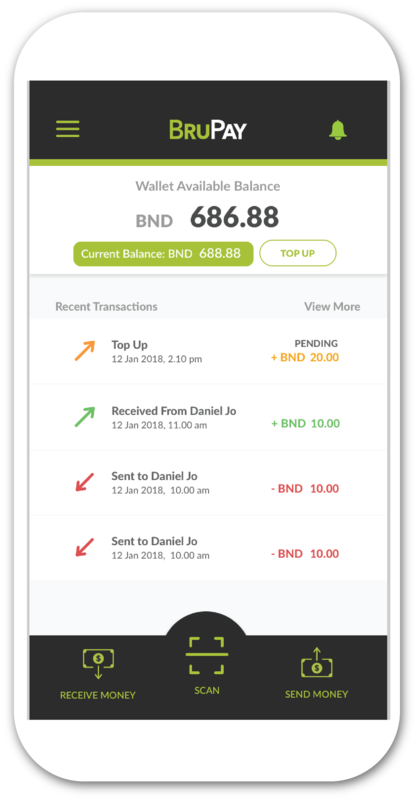 We are a Brunei based fintech company, specialising in online payment solutions. 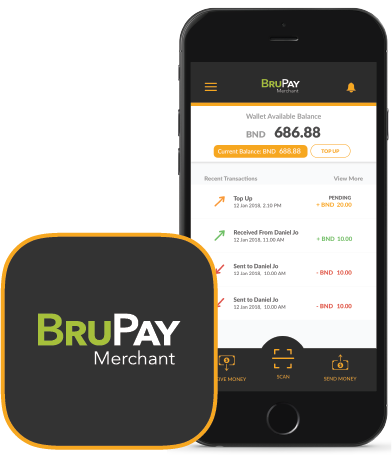 *BruPay Sdn Bhd is a participant in the AMBD FinTech Regulatory Sandbox and the product being tested is an Electronic Wallet System.